::pretty::tough::nails::: L.A. 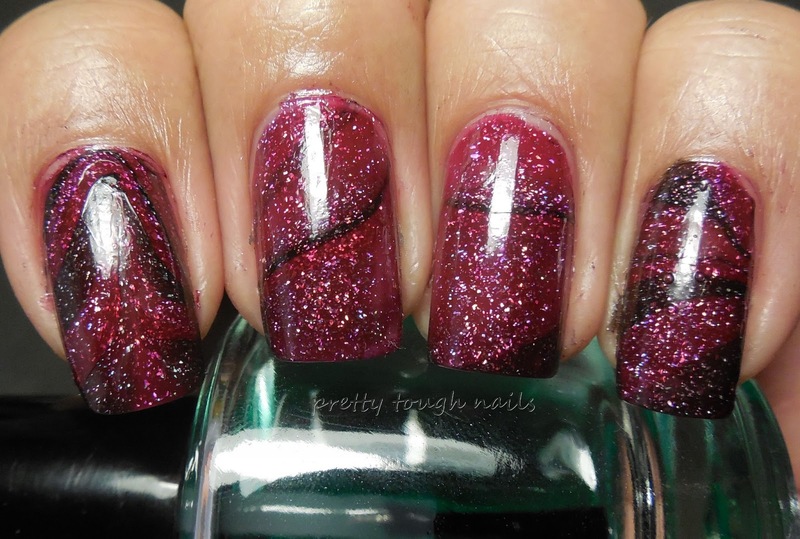 Girl 3D Holographic in Sparkle Ruby and Black Illusion plus bonus nail art! L.A. Girl 3D Holographic in Sparkle Ruby and Black Illusion plus bonus nail art! The other day I showed you L.A. Girl's 3D Holographic in Purple Effect, and now I have my other two picks from that same collection. These both had similar formula and application like Purple Effect, and that's a little sticky but workable jelly base. I used two coats for all of these pictures. Warning, this is super picture heavy!! 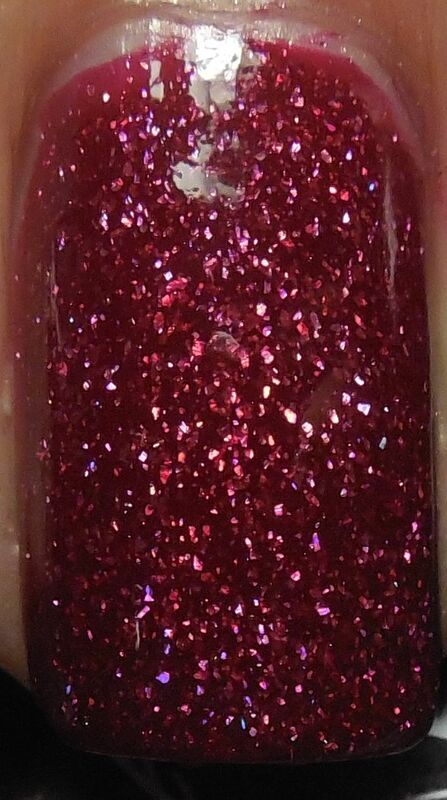 First is Sparkle Ruby, a berry leaning red scattered jelly holo. I really love this shade and wore if for three days! The tipwear on this was excellent as well - barely any after two days of work. I wish the holo was easier to capture, but it's definitely visible with movement. First pic is in the light tent, the rest are under direct light. 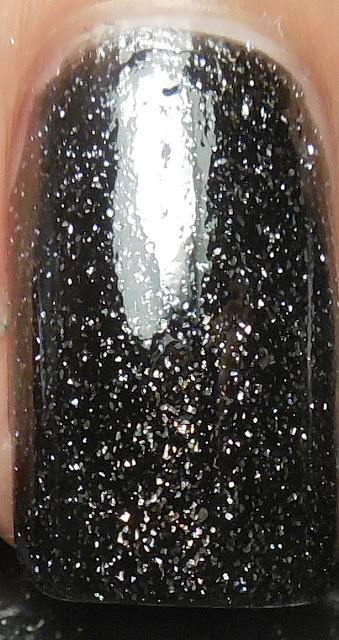 Next is Black Illusion, a black jelly with scattered holo. I really like this option of black nail polish instead of traditional black cream. 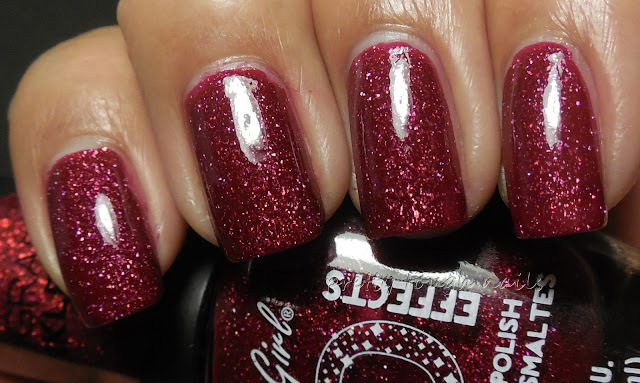 The hint of holo is fabulous. Again, first pic is in the light tent, the rest in direct light. I think I managed to capture a bit of the holo in one of the pics! 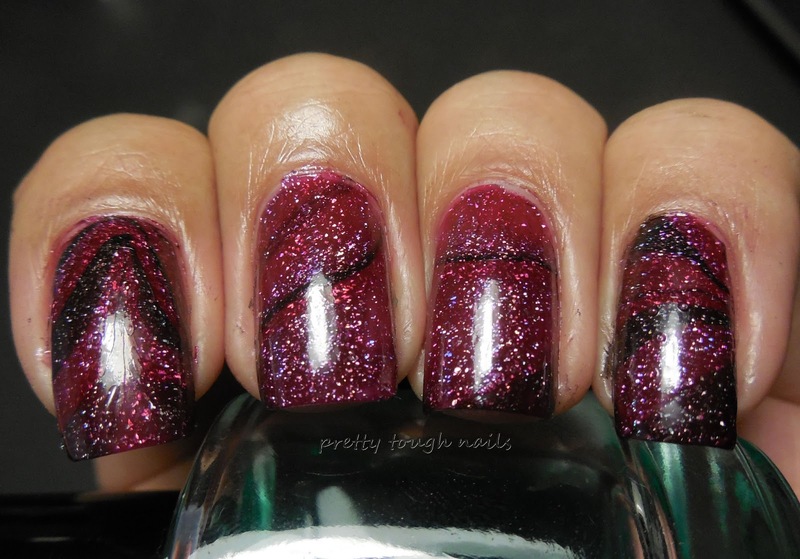 And, now a little nail art - nothing over the top but first is a gradient with Sparkle Ruby and Black Illusion. And finally my attempt at a water marble... it's sloppy but I think partly it's due to the stickiness of the LA Girl formula... whenever I tried to use the orange stick to make the swirls, it would drag in th water and clump more than I wanted. Oh well. It's still pretty, I like the translucence of the marble. I did all three colors over Sparkle Ruby. Sorry for the picture heavy post! I just wanted to share how much fun I had with these polishes. I really enjoyed all of them and would definitely consider picking up the rest of the colors despite their somewhat boring names. If you haven't gotten any yet, I highly recommend that you seek them out!